Additional information for successful sponsor participation at the ACTEC Meetings. Aggressive outreach to Fellows for meeting times on their calendar or follow-up calls post- meeting will not be welcomed by the Fellows. Attend Committee Meetings (Fill out form below to arrange attendance). Officers, Regents, Committee and State Chairs often serve as hosts at evening events to sponsor representatives. The College strongly encourages each Officer, Regent and Committee Chair who is attending a National Meeting to greet and talk personally to representatives of the sponsor company. 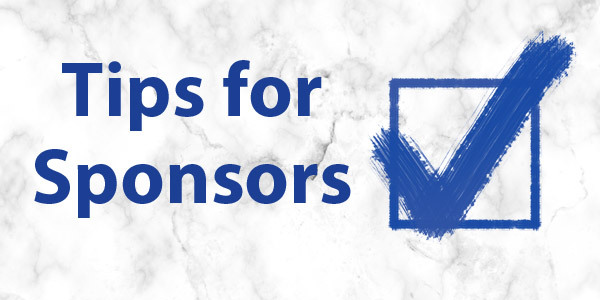 The Sponsorship Advisory Committee coordinates with the College staff and sponsors regarding policies and procedures for sponsorship opportunities at College events. Please fill out the form below to communicate with the Sponsorship Advisory Committee or ACTEC staff. Please fill out the form below to request attendance to a committee meeting, ask a question or offer feedback.